At the Law Offices of Darren P. Trone, we have over 25 years experience in real estate, business of litigation and transactional, and family law matters within Riverside and the surrounding areas. This focused experience allows us to pursue significant results in less time, providing our clients with quality legal representation. 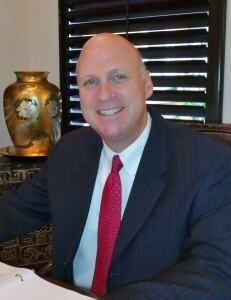 Contact us today for a free 30-minute consultation with our experienced attorney, Darren Trone. Personal service: We provide every client personalized attention and responsive client service. Aggressive advocacy: We are always prepared to fight for our clients’ rights, in or out of court. Efficient solutions: We work quickly and resourcefully, saving our clients money. With over 25 years of practice experience, Riverside attorney Darren P. Trone understands how to win results for his clients. He is adept at achieving favorable settlements through negotiation, and is a formidable courtroom advocate. Whether you are dealing with a complex business dispute, property dispute with your partners or neighbor, or engaged in a divorce, Mr. Trone and his friendly staff will give you the time, effort and attention you deserve. If you are presented with a legal issue in the state of California, we can help you explore your options and take legal action. Contact us today online or by phone at 951-667-1786 to speak with an experienced California lawyer. For your convenience, we offer free initial telephone consultations and accept all major credit cards.